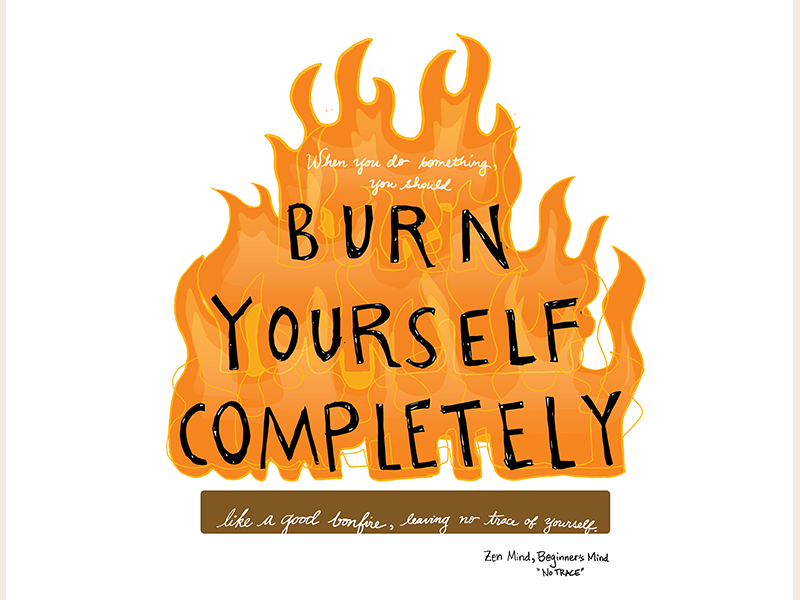 "When you do something, you should burn yourself completely, like a good bonfire, leaving no trace of yourself." - Zen Mind, Beginner's Mind. Last year this, as an audio book, really saved my sanity as I dealt w work stress. I listened to Peter Coyote read me about the blue mountain and the white cloud almost daily for a while. It was just sitting on its lonesome on an end table at our vacation rental when we got here. That's auspicious enough to work w over the next 2 weeks w some hand lettering / illustration practice.